Thanks to board member Autobot Hound for letting us know that the newest Studio Series Voyager Class figures have been found at Canadian retail. Both of these figures were found at a Walmart in Ontario. Voyager Optimus can combine with the new Leader Class Jetfire to recreate Jet Wing Optimus Prime from 2009's Revenge of the Fallen. Do these two tickle your fancy? Have you found them and want to let other fans know? Then check out the Canadian Transformers Sightings thread! Re: Transformers Studio Series Voyager Optimus and Bonecrusher Released at Retail. Cool, last new thing we saw was ss21 Starscream. 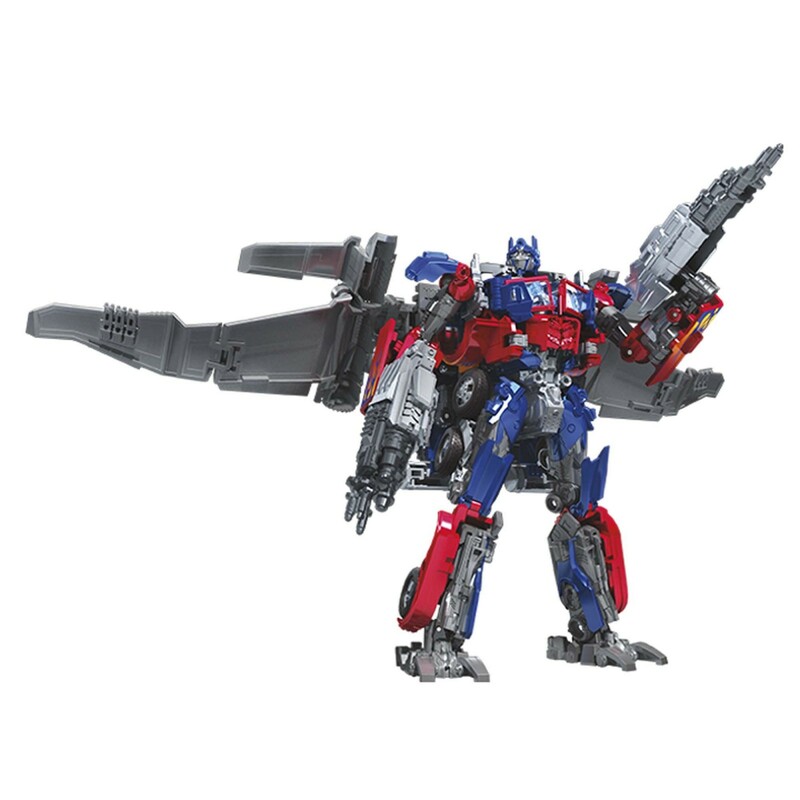 I doubt we will see Dropkick or the kid sentry locally now but that optimus looks nice with Jetfire on him. Dropkick's been found at Walmart and grocery stores. I have had him for a few weeks. Also check EB Games, that's where I got Dropkick and the KSI Sentry. Saved 10% too with their card. Now the hunt for these begin. Very exciting. Need me a bonecrusher. Yay!! Need me a bonecrusher. Got the jungle repaint years ago but always wanted the original tan version. Glad it wasn't a priority back then so now I can get a better version. I know there have been reports in Canada. Our Dominions, or Superstore as the rest of the country knows them, aren't past wave 2 here. A bunch of Jazz around though. None of the 4 Wal-Mart's are past wave 3 deluxes, newest was voyager Starscream about 3 weeks ago. None of our 5 EB has had them and it Isn't seemingly on their systems to be shipped in currently, that covers up to about ten days, from what they tell me. Oh those retail scamps and their poor, poor distribution lol. Hate to say it but don't bother with TRU apparently a friend was talking to an employee at our local one and they said there are no studio series on order in any class size and also no further orders pending for siege (they apparently said all leader class orders save for one paltry little one were cancelled) I don't know what this means or if its true but take it with a grain of salt. I hate having repeats like that in my collection, so glad I dodged that bullet. Still want bonecrusher though. I may just buy the new Voyager Prime, then just replace him down the road with the Leader version with the trailer, it's going to be quite some time before that Leader version comes out.